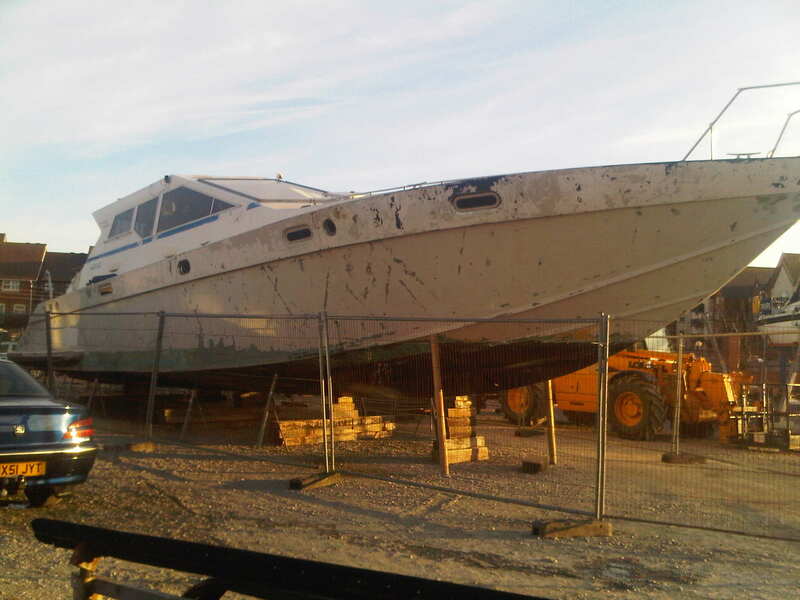 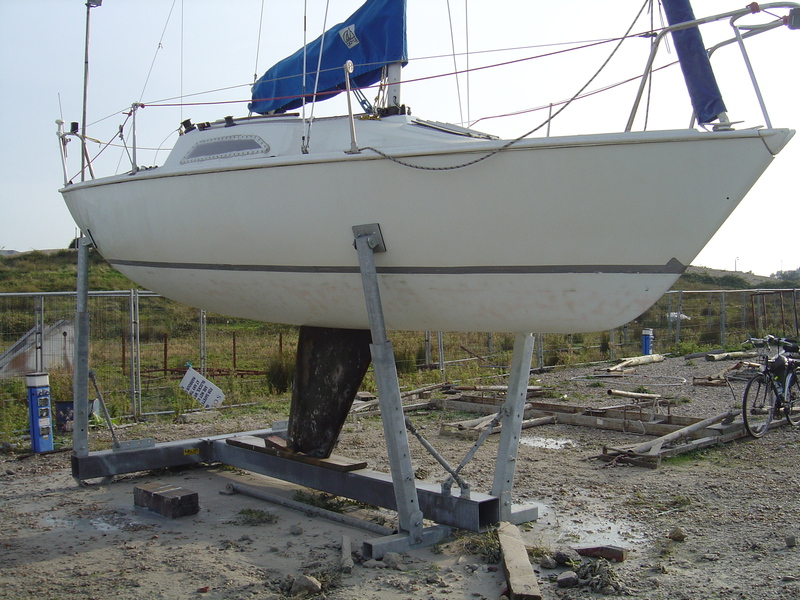 Sailing boat after blast cleaning. 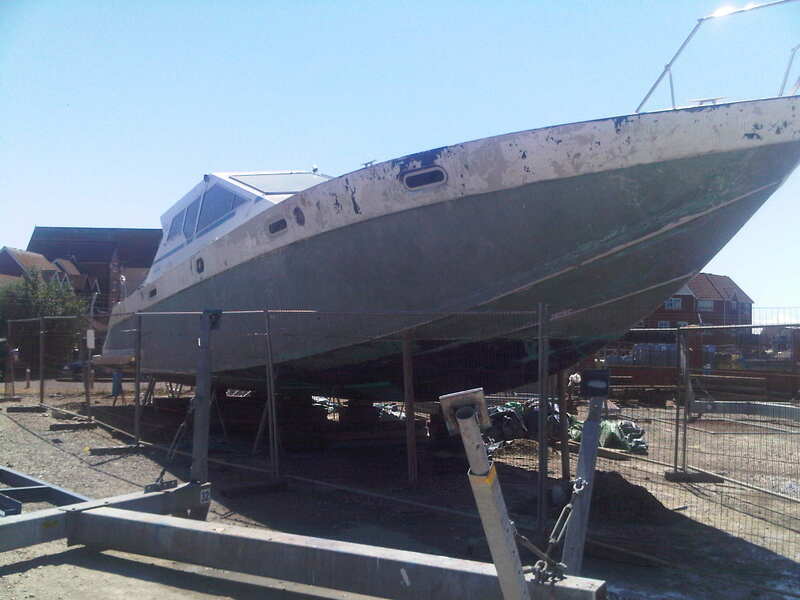 Motor Cruiser prior to starting work. 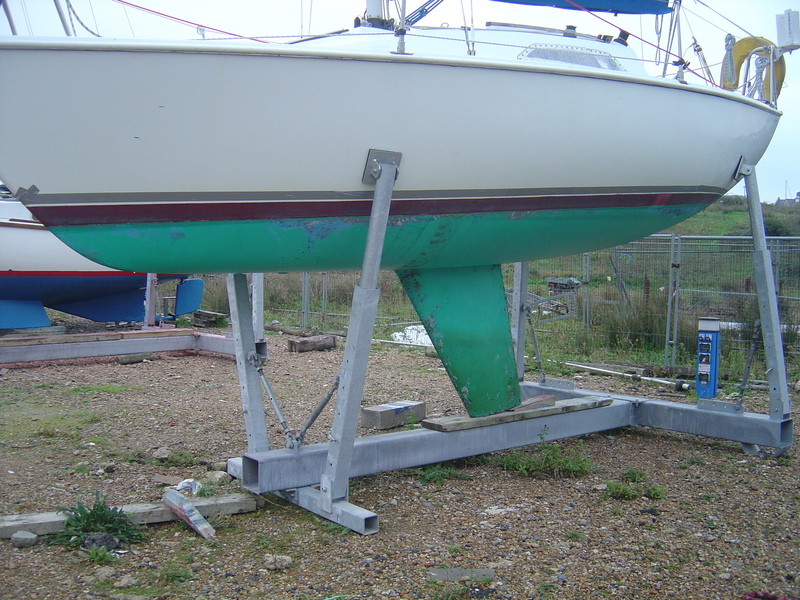 Gel coat completely stripped from hull.